The Sally apartment has 2 themed bedrooms. A double bedroom decorated in a Tuscan theme and a twin room in a jungle theme. 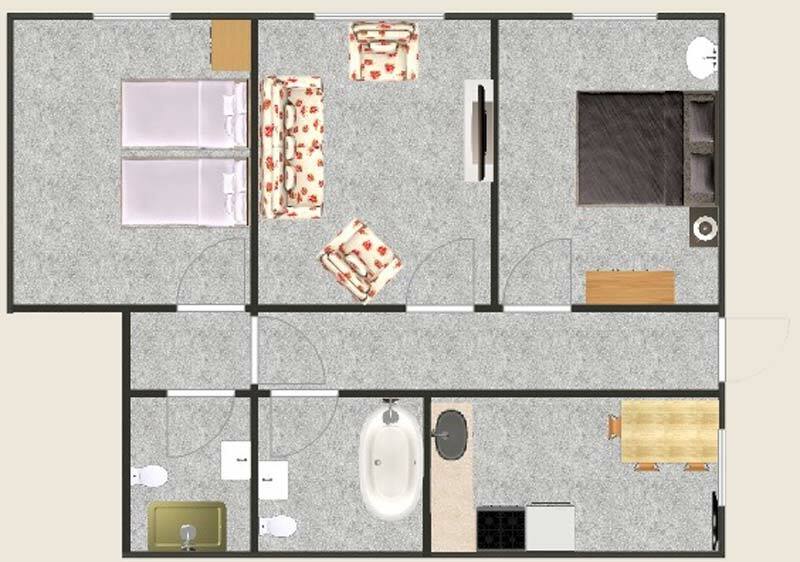 It has a spacious bathroom, a separate shower room and kitchen/dining room. The lounge has comfortable furnishings with a large flat screen TV and DVD player. The kitchen has all the facilities you could need, including a cooker, hob, fridge/freezer, dishwasher and microwave. This flexible apartment can be let for just two guests if required, providing the bathroom but not the additional shower room. Great for families with children, small groups or couples.